The client’s goal for the house was to have an energy efficient home without compromising on comfort and without increasing the capital cost of the building. Air-conditioning was to be provided but the building fabric was to be optimised such that the need for occupants to actually use it was minimised, particularly in summer. One of the most important aspects of passive design is fully understanding the local climate and making sure that the building is able to take advantage of the prevailing conditions. 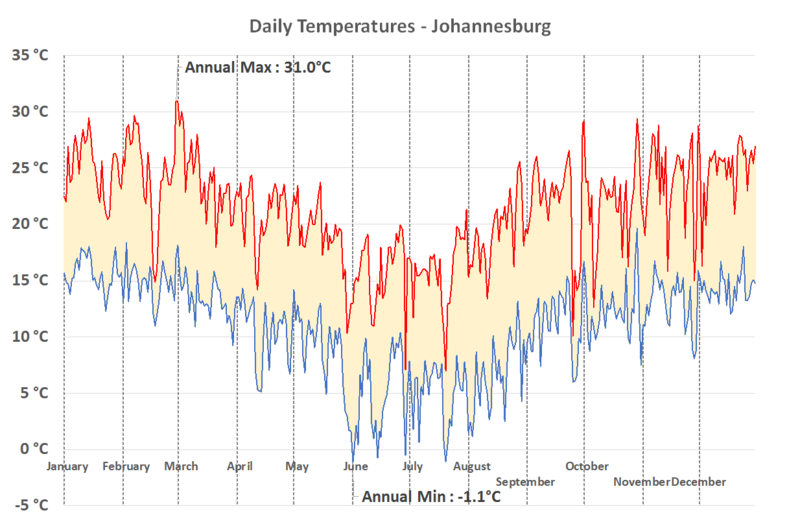 Solid Green has an extensive library of detailed weather data that are used to conduct simulations and analyse weather data. The area is characterised by high diurnal temperature swings for large percentages of the year. This large difference between maximum and minimum daily temperatures indicates that there is a lot of potential for using thermal mass for passive cooling. Low night time temperatures means the building fabric can store ‘coolth’ and release it during the day, greatly reducing the need for active cooling. Fig. 1.1 – 1.5 below illustrate the modelling for this building in these specific climatic conditions. Fig. 1.1 – 1.2 represents the path the sun follows with respect to the site location. This is often the easiest way to help design teams visualise the impact of the sun on the building. All shading elements as indicated on the tender drawings are captured in the actual building model; and self-shading from the building’s own form is also accounted for in the model. 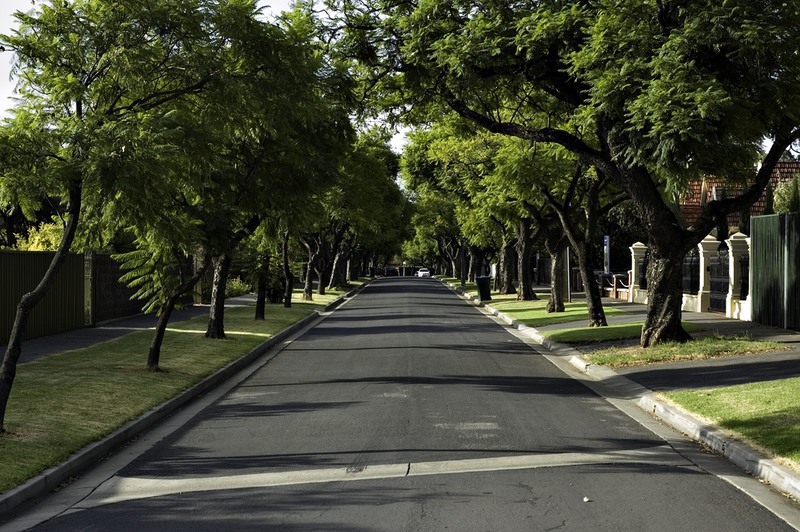 No adjacent buildings are present on site that can have overshadowing impact. Fig. 1.3 – 1.5 show the temperature and humidity distribution for different months of the year. Every hour of the year is represented. 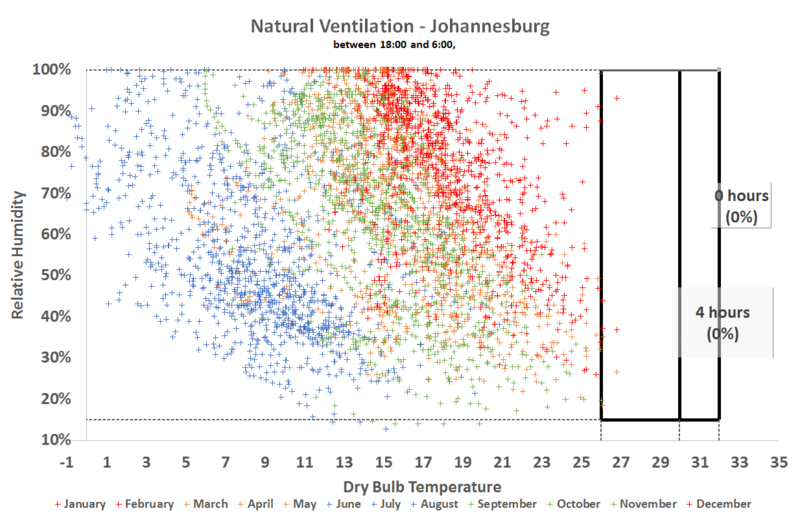 The percentage of hours above 26 °C is a good indicator of how much discomfort should be expected when using natural ventilation for cooling. With the correct treatment of the façade, night time temperatures should always be comfortable in this climate. It is also clear that winter temperatures can fall quite low and heating will be required in winter months. A baseline model was created using known design parameters and best-practice inputs for different building elements. This baseline was then used to test the impact of various passive design elements. To truly optimise a building, a large number of combinations must be tested to ensure the interconnectivity between important design variables is fully assessed. Take glazing as an example: if the glazing specification is changed, then shading requirements, heating and cooling loads, thermal mass and natural ventilation requirements will also change. Fig. 2.1 illustrates how, with just a few options for various building elements, you can generate a large number of combinations to test. The most efficient set of solutions must be identified and assessed for accurate recommendations to be made. This is one of the big advantages of optimisation – you typically end up with a number of optimal solutions and have the choice to decide which solution best meets the design objectives. Thermal properties of standard materials were used directly from the extensive DesignBuilder materials database. The following tables represent various changes that can be implemented to achieve both the most energy efficient and thermally comfortable solution. Based on the results generated from the above, recommendations were then made with regards to the best combination of building fabric. The initial design was over-insulated for this climate and led to the building not being able to cool down passively at night. 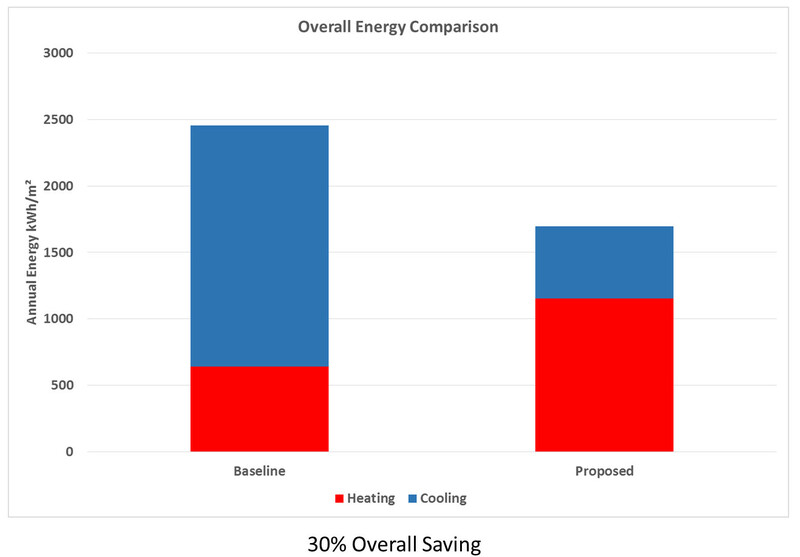 The table below shows that the proposed changes not only reduce the buildings energy use for active cooling but also save the client money. Fig. 4.2 shows the savings by means of the most effective combination of factors. The baseline building can be improved by 30% overall in HVAC energy by optimising the building fabric. That represents 30% less energy to offset if the client would like to make the house carbon neutral. Reducing the cooling load effectively decreases the number of hours that the building will require active cooling. 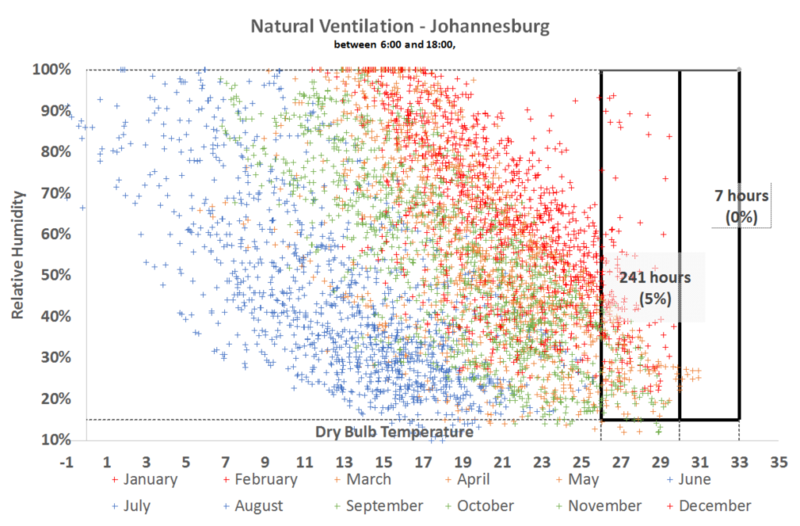 Although the overall heating has been increased, the energy consumption over a whole year has been decreased because heating is only required for two and a half months. These recommendations are therefore in line with the client’s objectives for an energy and cost efficient home.